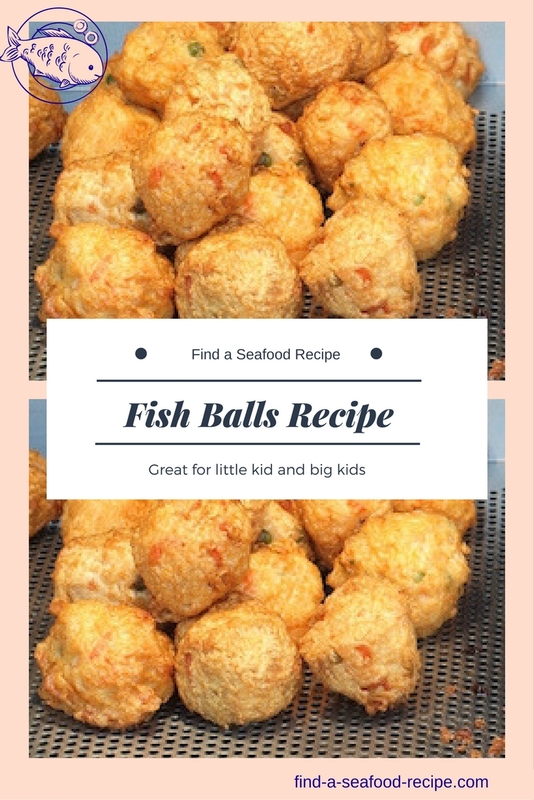 This simple fish balls recipe can use any fish and some leftover mashed potato if you have any. I often get asked for leftover recipes and this is a perfect one. 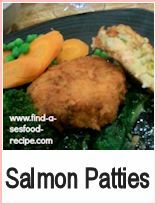 The seasoned flour is just plain flour with a bit of pepper added - salt too if you're not using smoked fish - you could add a tspn of dried dill if you like. Making seasoned flour is simple. The technique is to take a plate and sprinkle two or three tablespoons of plain flour - the amount you need depends on how many things you're coating. Shake pepper (and salt if you're not using a salty filling) and then mix the flour together. Alternatively, you can put the flour into a plastic bag, season and shake it all together to mix it. You can add any fresh or dried herb you like to it at the pre-mixing stage. 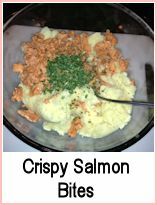 Mix the fish and potato together well - stir in the parsley. Divide the mixture into 8 and roll into balls. Roll each ball in the flour and then set them aside in the fridge to chill for about 30 minutes. Heat your oil in a pan - enough to shallow fry - and then add the fish balls. Cook for about 10 minutes, turning frequently until they are crispy and golden. 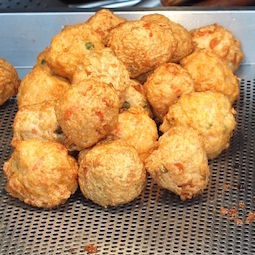 You could also make fish cakes out of this mixture - just flatten the balls then dip them into the seasoned flour. Chill in the fridge for about 30 minutes. Cook for about 10 minutes until they're golden and hot right through. All the recipes below are equally suitable for using leftovers or indeed, you could make balls out of those recipes. 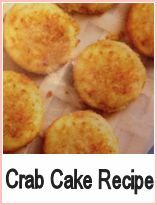 The crab cakes particularly make a lovely platter at a buffet of finger food.